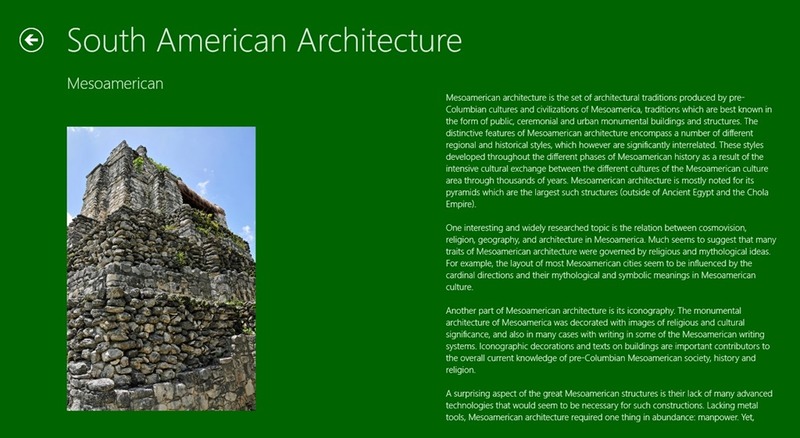 Historic Architecture is a free Windows 8 Architecture App. Using this app, you can view the famous archaeological monuments of history, from all over the world. The historical architectures that are present here are categorized, so that you can work with the app more easily. Moreover, you can also search the app using the Windows 8 Search Charm. In addition to that, you even get the capability to share what you view using the Windows 8 Share Charm. 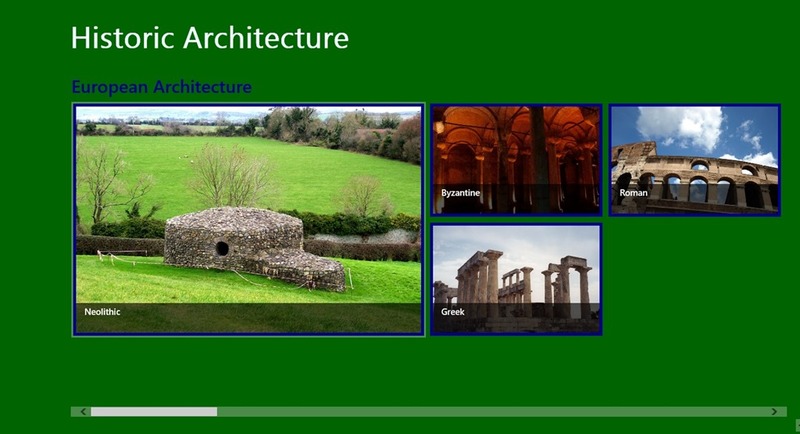 This Windows 8 Architecture App also has an inbuilt quiz option using which you can test your knowledge about the architectures. 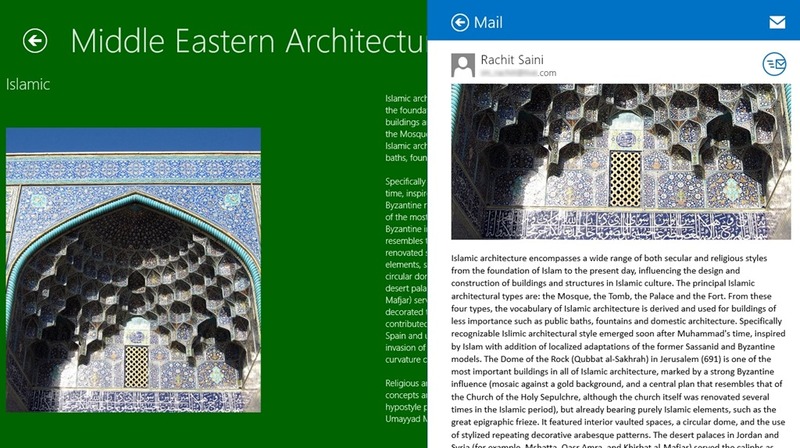 This Windows 8 Architecture App is present under the Education category of the Windows Store. Working with the app is absolutely easy. Let’s tell you more about the app. As you land into this Windows 8 Architecture App, all the historical architecture types would appear arranged as categories on the basis of the regions where they are present. Just use scrolling wheel of your mouse to view all the Architectural Types that are available here. Now, if you view any architecture from them, it will show you a good detailed description for it. Moreover, this Windows 8 Architecture App also gives you the ability to share what you view and read with others over the Internet using the Windows 8 Share Charm. Apart from that, you even get the ability to search for architectures belonging to a particular region within the app. Also check out these other apps reviewed by us earlier: Windows 8 travel guide apps, MyTrip, and Booking.com. 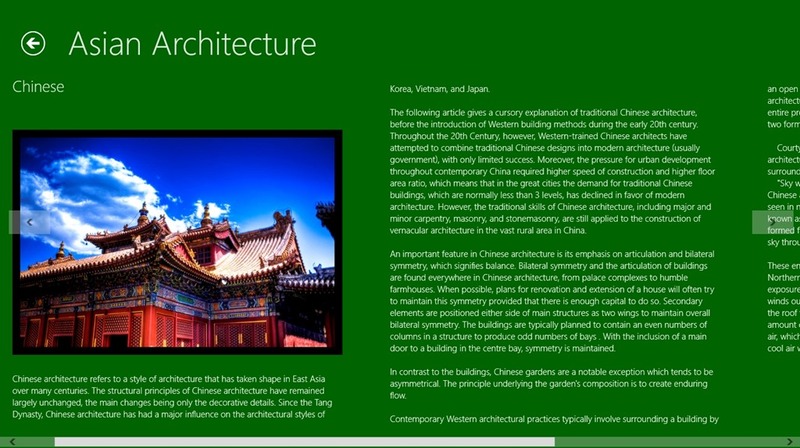 Free availability: This Windows 8 Architecture App is freely available in the Windows Store. Working with the app is easy. Good detailed description (with images) about the Historical Architectures you are searching in the app. 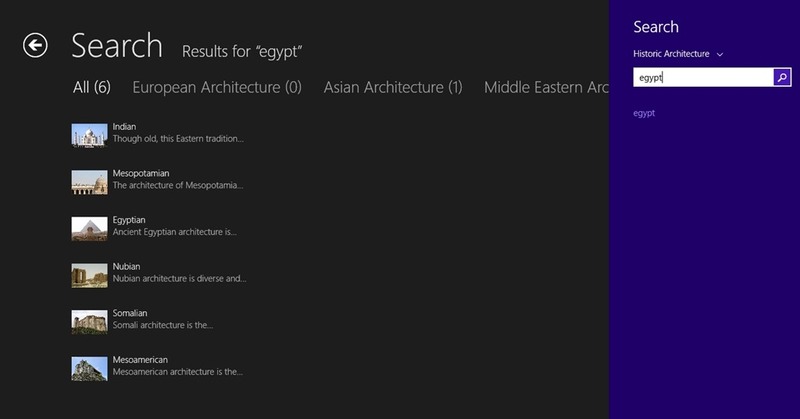 You even get the capability to search the architectures using the Windows 8 Search Charm. Share what you read, with others using the Windows 8 Share Charm. Take the Quiz to test your knowledge. According as my experience with the app, you can use it just for reading about the architectures. The Database of the app is quite limited. Also, when I tried the Quiz option, I found that it was not so helpful. There is no option in the quiz feature to see the correct solution. You can use this app only for general reading about the limited architectures that are available here. Try it on your own end to know better.